If there were any remaining doubts that “making money is art,” as Andy Warhol famously pronounced in his 1975 book, “The Philosophy of Andy Warhol,” they were surely vanquished on Nov. 12. His silk-screen print “Triple Elvis (Ferus Type),” an image taken from a Hollywood studio publicity shot showing Elvis Presley with a gun, sold for nearly $82 million at a Christie’s auction packed with bankers, hedge fund managers and art dealers. 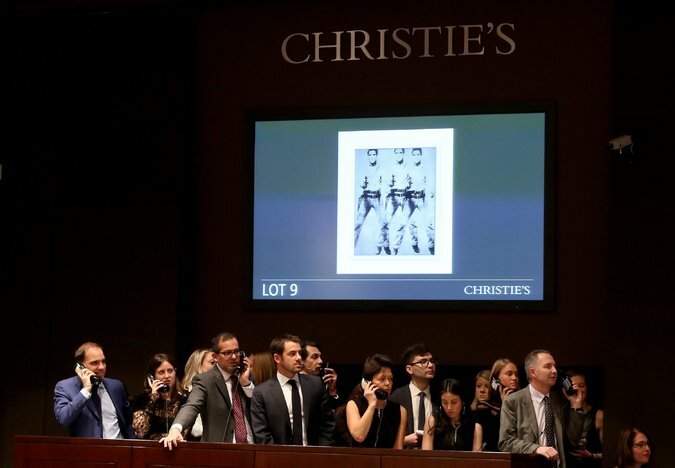 In just two weeks this month in New York, the auction houses Sotheby’s and Christie’s sold over $2 billion in art, a record for major New York fall auctions. The billionaire investor Steven A. Cohen paid over $100 million for a Giacometti sculpture. A Manet sold for $65 million, two by Mark Rothko for $45 million and nearly $40 million, a Georgia O’Keeffe for $44 million and a small Jasper Johns American flag for $36 million. Mr. Moses said that it was hard to describe the art market as exuberant, when overall returns — about 3.5 percent annually — have barely outpaced inflation and have trailed equities and, in recent years, even fixed income. He noted that it was contemporary and postwar works that had shown the biggest gains. “The single most surprising change in the art market is the relative increase in the value of recent art,” said David Galenson, a professor of economics at the University of Chicago who has done groundbreaking research into valuations in the art market. In a recent survey of art professionals by Deloitte, 76 percent said collectors viewed art, at least in part, as an investment — up from 53 percent two years ago. And 72 percent said their clients’ primary reason for buying art was related to the “social and networking scene” and the status associated with buying art, compared with 59 percent in 2012. Given the money involved, it probably shouldn’t be surprising that bankers are treating art like any other asset class, which, in turn, is helping drive up prices and create a more liquid market. More banks are lending against art as collateral. Some are even starting to create collateralized debt obligations with art as the underlying asset — much as bankers packaged subprime mortgages before the financial crisis. Mr. Beard, of Deloitte, said he found Professor Galenson’s research persuasive. “That you saw the ‘Triple Elvis’ sell for so much has nothing to do with its aesthetic value or coolness or hipness and everything to do with the fact that historians agree that Warhol with this work influenced art history,” he said. 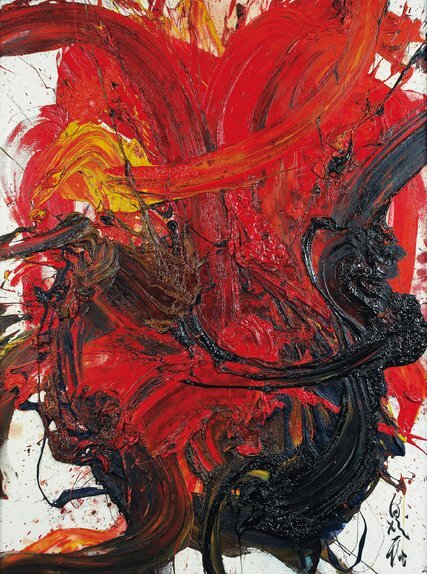 In this respect, the auction catalog may be more important to a work’s value than the art itself. Monet’s portrait of Alice Hoschedé may be very beautiful, but its sales price of $33.8 million represents a compounded rate of return of just 5.4 percent since its last sale, according to Mr. Moses. And for Impressionist and modern works as a whole, the average was only 3.9 percent. The description of the work from Christie’s catalog hits all of Professor Galenson’s benchmarks.